Tchanam!! new page, like every friday, the artist and author Zack Morrison post a page of his Paranatual webcomic. one more cool action sequence in this page! 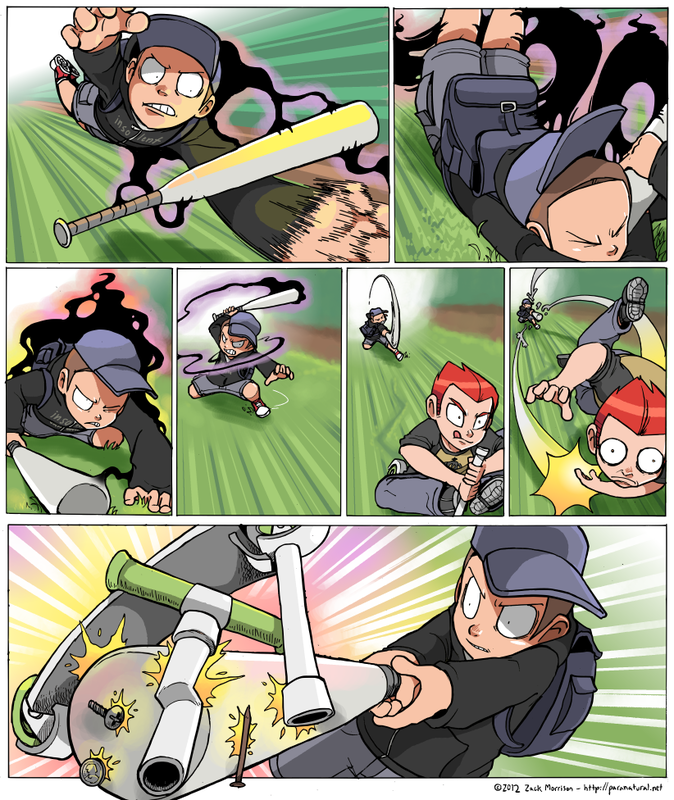 it seems his bat (with special powers) can have magnetic abilities.